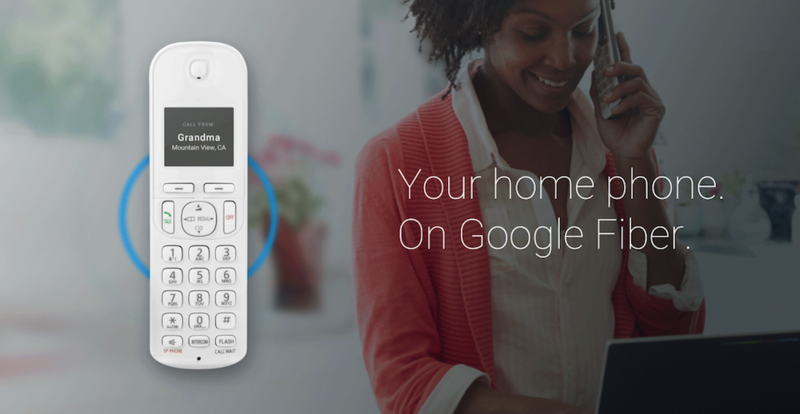 Google just announced Fiber Phone, a new service for home phones using Google Fiber. It costs ten dollars a month for unlimited local and nationwide calling, and uses the same rates as Google Voice for international calls. Customers can keep their old phone numbers or get new ones. The service includes call waiting, caller ID, and 911. It also offers voice message transcribing for texts and email. There are also privacy controls like spam filtering, call screening, and do-not-disturb. Eventually, Fiber Phone will be available to customers in all Fiber cities, but for now, it will only be in a few areas. There’s a sign-up form here for when it makes it to your area. It’s unclear at this point what the first areas with access will be. Current Fiber cities include Provo, Austin, Kansas City, and Atlanta with service upcoming for San Francisco, Salt Lake City, San Antonio, Nashville, Huntsville, Charlotte, and Raleigh-Durham. The following are listed as potential Fiber cities: Portland, San Jose, Los Angeles, Irvine, San Diego, Phoenix, Oklahoma City, Chicago, Louisville, Tampa, and Jacksonville.